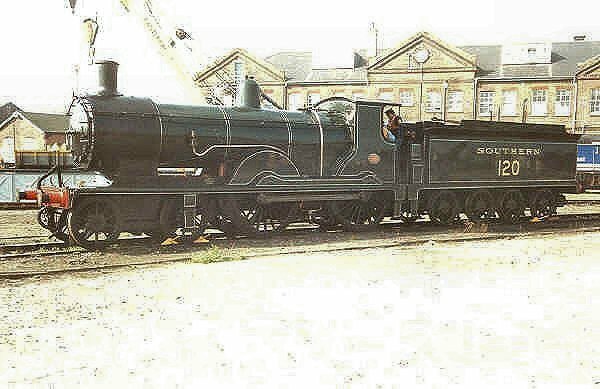 SR ex-LSWR T9 Class 4-4-0 120 30053 at Eastleigh 27th September 1992. 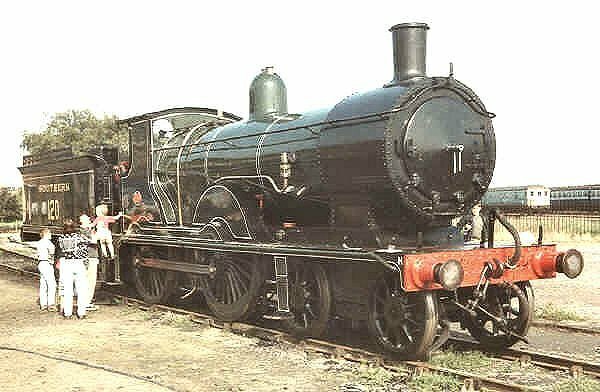 This class was designed under the leadership of Drummond, the London & South Western Railway Chief Mechanical Engineer. SR ex-LSWR T9 Class 4-4-0 120 30053 at Eastleigh 27th September 1992. This class were sometimes referred to as Greyhounds, and were often specially decorated for hauling the royal train. 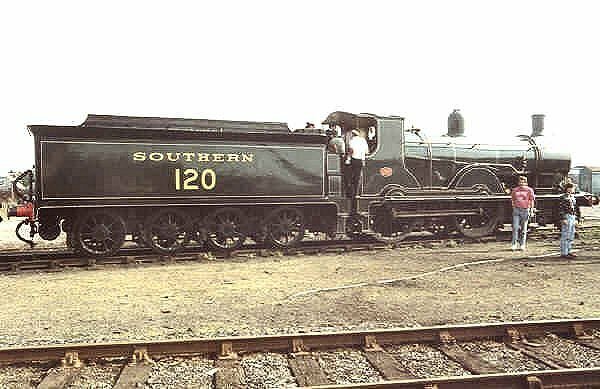 SR ex-LSWR T9 Class 4-4-0 120 30053 at Eastleigh 27th September 1992.